This article is about the gangster Alphonse Gabriel. Alphonse Gabriel "Al" Capone January 17, 1899 – January 25, 1947) was an American gangster who attained fame during the Prohibition era. His seven-year reign as crime boss ended when he was 33 years old. Born in the borough of Brooklyn in New York City to Italian immigrants, Capone was a Five Points Gang member who became a bouncer in organized crime premises such as brothels. In his early twenties, he moved to Chicago and became bodyguard and trusted factotum for Johnny Torrio, head of a criminal syndicate that illegally supplied alcohol and which was politically protected through the Unione Siciliane. A conflict with the North Side gang was instrumental in Capone's rise and fall, as Torrio had been precipitated into retirement after North Side gunmen almost killed him, thereby bringing about Capone's succession. He expanded the bootlegging business through increasingly violent means, but his mutually profitable relationships with mayor William Hale Thompson and the city's police meant Capone seemed safe from law enforcement. Apparently reveling in the attention, such as the cheers when he appeared at ball games, Capone made donations to various charities and was viewed by many to be a "modern-day Robin Hood". However, the Saint Valentine's Day Massacre of North Siders damaged Chicago's image, leading influential citizens to demand action from central government. The federal authorities became intent on jailing Capone and prosecuted him for tax evasion in 1931. The case was highly politicized and both prosecutors and judge later received preferment. During prior and ultimately abortive negotiations to pay the government any back tax he owed, Capone had made admissions of his income; the judge deemed these statements could be used as evidence at the trial, and also refused to let Capone plead guilty for a lighter sentence. The effect of such decisions by the judge was added to by the incompetence of Capone's defense attorneys. Capone was convicted and sentenced to a then-record-breaking 11 years in federal prison. Replacing his old defense team with lawyers who were experts in tax law, his appeal grounds were strengthened by a Supreme court ruling, but Capone again found that his status as a symbol of criminality meant that judges decided in his disfavor. Already showing signs of syphilitic dementia by early in his sentence, he became increasingly debilitated before being released after 8 years. On January 25, 1947, he died from cardiac arrest after suffering a stroke. Capone's conviction had negligible effect on the prevalence of organized crime in Chicago. After his initial stint with small-time gangs that included the Junior Forty Thieves and the Bowery Boys, Capone joined the Brooklyn Rippers and then the powerful Five Points Gang based in Lower Manhattan. During this time, he was employed and mentored by fellow racketeer Frankie Yale, a bartender in a Coney Island dance hall and saloon called the Harvard Inn. After he inadvertently insulted a woman while working the door at a Brooklyn night club, Capone was slashed by her brother, Frank Gallucio. The wounds led to the nickname that Capone loathed: "Scarface". Yale insisted that Capone apologize to Gallucio, and later Capone hired him as a bodyguard. When photographed, Capone hid the scarred left side of his face saying the injuries were war wounds. Capone was called "Snorky", a term for a sharp dresser, by his closest friends. On December 30, 1918, at age 19, Capone married Mae Josephine Coughlin, who was Irish Catholic and who, earlier that month, had given birth to their first son, Albert Francis ("Sonny") Capone. 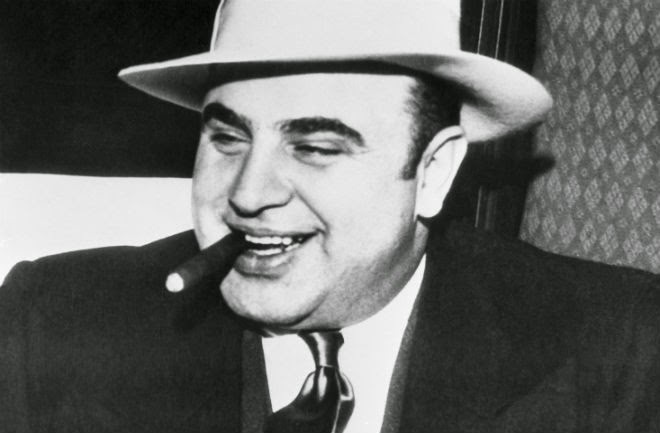 As Capone was under the age of 21, his parents had to consent to the marriage in writing. At about twenty years of age, Capone left New York for Chicago at the invitation of Johnny Torrio, who was imported by bootlegger James "Big Jim" Colosimo as an enforcer. Capone began in Chicago as bouncer in a brothel, contracting syphilis, which timely use of Salvarsan probably could have cured; he apparently never sought treatment. In 1923, he purchased a small house at 7244 South Prairie Avenue in the Park Manor neighborhood on the city's south side for US$5,500. In the early years of the decade, Capone's name began appearing in newspaper sports pages, where he was described as a boxing promoter. Chicago's location on Lake Michigan gave access to a vast inland territory, and it was well-served by railroads. 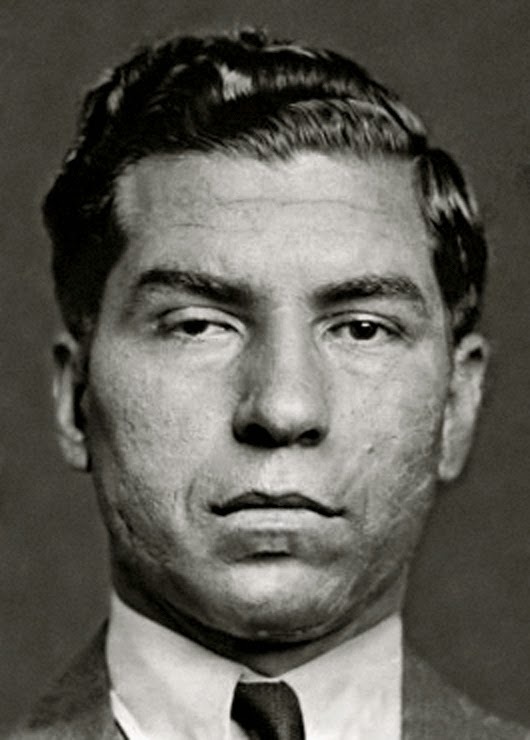 Torrio took over the crime empire of "Big Jim" Colosimo after his murder, which Capone was suspected of. With Capone as his right-hand man, Torrio headed an essentially Italian organized crime group that was the biggest in the city. Wary of being drawn into gang wars, he tried to proceed by negotiating agreements between rival crime groups over territory. The smaller, mixed ethnicity, North Side Gang of Dean O'Banion came under pressure from the Genna brothers, who were allied to Torrio. O'Banion found that for all Torrio's pretensions to be a settler of disputes, he was unhelpful with the encroachment of the Gennas into the North Side. In a fateful step, Torrio had, or acquiesced to the Gennas having, the relatively business-minded O'Banion killed at his flower shop in October 1924. This placed Hymie Weiss at the head of the gang, backed by Vincent Drucci and Bugs Moran. Under Weiss, who had been a close friend of O'Banion, the North Siders treated revenge on his killers as a priority. In January 1925 Capone was ambushed, leaving him shaken but unhurt. Twelve days later, Torrio was returning from a shopping trip when he was shot several times. After recovering Torrio effectively resigned and handed over to Capone, who at 26 years old became the new boss of an organization that took in illegal breweries and a transportation network that reached to Canada, with political and law-enforcement protection, in turn he was able to use more violence to increase revenue; refusal to purchase often resulted in the premises being blown up, as many as a hundred people were killed in liquor bombings during the twenties. Rivals saw Capone as responsible for the proliferation of brothels in the city. Capone indulged in custom suits, cigars, gourmet food and drink (his preferred liquor was Templeton Rye from Iowa) and female companionship. He was particularly known for his flamboyant and costly jewelry. His favorite responses were "I am just a businessman, giving the people what they want", and "All I do is satisfy a public demand". Capone had become a national celebrity and talking point. After using bribery and widespread intimidation to take over during elections for the town council, Capone based himself in Cicero, this made it difficult for the North Siders to target him.Capone's driver was found tortured and murdered, there was then an attempt on Weiss's life in the Chicago Loop. On September 20, 1926, the North Side gang used a ploy outside the Capone headquarters the Hawthorne Inn, aimed at drawing him to the windows. Gunmen in several cars then opened fire with Thompson submachine guns and shotguns at the windows of first floor restaurant, where Capone was often found. He was unhurt, but called for a truce; the negotiations fell through. Three weeks later Weiss was killed outside the former O'Banion flower shop North Side headquarters. In January 1927, the Hawthorne's restaurant owner, a friend of Capone, was kidnapped and killed by Moran and Drucci. Capone became increasingly security-minded and desirous of getting away from Chicago.As a precaution, he and his entourage would often show up suddenly at one of Chicago's train depots and buy up an entire Pullman sleeper car on night trains to places such as Cleveland, Omaha, Kansas City, Little Rock or Hot Springs, where they would spend a week in luxury hotel suites under assumed names. In 1928, Capone bought a 14-room retreat on Palm Island, Florida, close to Miami Beach. He never registered any property under his name. He did not even have a bank account but always used Western Union for cash delivery, not more than $1,000. The protagonists of Chicago's politics, and even newspaper circulation 'wars', had long been associated with questionable methods, but the need for bootleggers to have protection in city hall introduced a far more serious level of violence and graft. Capone is generally seen as having had an appreciable effect in bringing about the victories of Republican William Hale Thompson, especially in the 1927 mayoral campaign when Thompson campaigned for a wide open town, at one time hinting that he'd reopen illegal saloons. Such a proclamation helped Thompson's campaign gain the support of Capone and Thompson's campaign allegedly accepted a contribution of $250,000 from the gangster. In the 1927 mayoral race, Thompson beat William Emmett Dever by a relatively slim margin. Thompson's powerful Cook County machine had drawn on the often-parochial Italian community, but this was in tension with his highly successful courting of African Americans. Capone continued to back Thompson and on the polling day of April 10, 1928 in the so-called Pineapple Primary, voting booths in the wards where Thompson's opponents were thought to have support were targeted by Capone's bomber, James Belcastro, causing the deaths of at least 15 people. Belcastro also was accused of the murder of lawyer Octavius Granady, an African American who dared to challenge Thompson's candidate for the African American vote, and was chased through the streets on polling day by cars of gunmen before being shot dead. Belcastro's co-charged included four policemen; all charges were dropped after key witnesses recanted their statements. 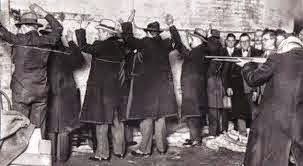 An indication of the attitude of local law enforcement to Capone's organization came in 1931 when Belcastro was wounded in a shooting; police suggested to skeptical journalists that Belcastro was an independent operator.The 1929 Saint Valentine's Day massacre led to public disquiet about Thompson's alliance with Capone; a factor in Anton J. Cermak winning the mayoral election on April 6, 1931. Capone was widely assumed to have been responsible for ordering the 1929 Saint Valentine's Day Massacre in an attempt to kill the head of the much-attenuated 'North Side' gang, Bugs Moran. Moran was the last survivor of the main north side gunmen; his succession had come because his similarly aggressive predecessors Vincent Drucci and Hymie Weiss had been killed in the violence that followed the murder of original leader, Dean O'Banion. To monitor their targets' habits and movements, Capone's men rented an apartment across from the trucking warehouse that served as a Moran headquarters. It is reported that on the morning of Thursday February 14, 1929, Capone's lookouts signaled gunmen disguised as police to start a "raid". The faux police lined the 7 victims along a wall without a struggle then signaled for accomplices with machine guns. The 7 victims were machine-gunned and shot-gunned. Photos of the victims shocked the public and damaged Capone's reputation. Within days Capone received a summon to testify before a Chicago grand jury on violations of federal Prohibition law, but he claimed to be too unwell to attend at that time. The Gambino crime family is one of the "Five Families" that dominates organized crime activities in New York City, United States, within the nationwide criminal phenomenon known as the Mafia (or Cosa Nostra). 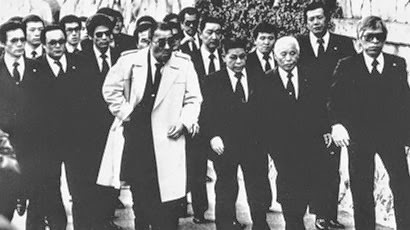 The group is named after Carlo Gambino, boss of the family at the time of the McClellan hearings in 1963, when the structure of organized crime first gained public attention. The group's operations extend from New York and the eastern seaboard to California. Its illicit activities include labor and construction racketeering, gambling, loansharking, extortion, money laundering, prostitution,fraud, hijacking, pier thefts, and fencing. The family was one of the five families that were founded in New York after the Castellammarese War of 1931. For most of the next quarter-century, it was a minor player in organized crime. Its most prominent member during this time was its underboss, Albert Anastasia, who would rise to infamy as the operating head of the underworld's enforcement arm, Murder, Inc. 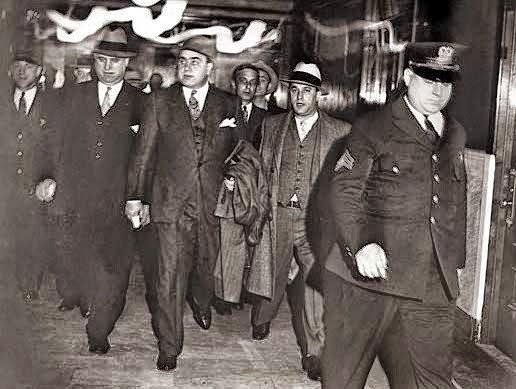 He remained a power even after Murder, Inc. was smashed in the late 1940s, and took over his family in 1951--by all accounts, after murdering the family's founder, Vincent Mangano. The rise of what for a time was the most powerful crime family in America really began in 1957, when Anastasia was assassinated while sitting in a barber chair at the Park-Sheraton Hotel in Manhattan. Experts believe Anastasia's underboss, Carlo Gambino, helped orchestrate the hit to take over the family. Gambino partnered with Meyer Lansky to control gambling interests in Cuba. The family's fortunes grew through 1976, when Gambino appointed his brother-in-law, Paul Castellano, as boss upon his death. Castellano infuriated upstart capo John Gotti, who orchestrated Castellano's murder in 1985. Gotti's downfall came in 1992, when his underboss Salvatore "Sammy the Bull" Gravano decided to cooperate with the FBI. Gravano's cooperation brought down Gotti, along with most of the top members of the Gambino family. The family is currently headed by Domenico Cefalu. 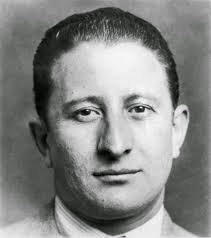 With Anastasia's death, Carlo Gambino became boss of what was now called the Gambino crime family. Biondo became underboss, supposedly as a reward for the Anastasia killing. However, upset by Biondo's misbehavior, Gambino replaced him with Aniello Dellacroce in 1965. By all accounts, Genovese was angling to become Boss of all Bosses, and believed that Gambino would support him. Gambino, however, had his own mind. He secretly joined forces with Luciano and Costello to get Genovese out of the way as well. Gambino helped trick Genovese into a lucrative drug deal, then paid a small-time Puerto Rican dealer to testify against him. In April 1959, Genovese was sentenced to 15 years in federal prison, where he died in 1969. In response to the Gambino rise, federal prosecutors targeted the family leadership. On March 31, 1984 a federal grand jury indicted Castellano and 20 other Gambino members and associates with charges of drug trafficking, murder, theft, and prostitution. 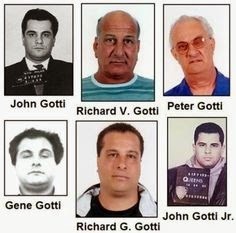 This group included John Gotti's brother, Gene, and his best friend, Angelo Ruggiero. In early 1985, Castellano was indicted along with other Cosa Nostra leaders in the Mafia Commission case. Facing the possibility of time in prison, Castellano announced that Thomas Gambino would become acting boss in Castellano's absence, with Bilotti as acting underboss to replace the ailing Dellacrocce. Although the Gambino family was making more money, the internal strife continued to grow. The Dellacroce faction considered Castellano a businessman, not a mob boss. They grew infuriated when Castellano increased their tribute requirements while building himself a grand mansion in Staten Island. Castellano became increasingly detached from family members, conducting all family business at his mansion. Castellano's announcement about Gambino and Bilotti further enraged the Dellacroce partisans.